Anyone looking for a holiday home in Puglia for a summer holiday usually wants to be right on the coast, or on the beach. There are lots of beaches in the Salento area: despite being just a small peninsula Salento has lots of rocky coves and kilometre-long beaches. In general there are not many hotels in Salento, so the main way of finding accommodation is to take a privately-owned holiday house or apartment or one managed by an estate agent or travel agent. 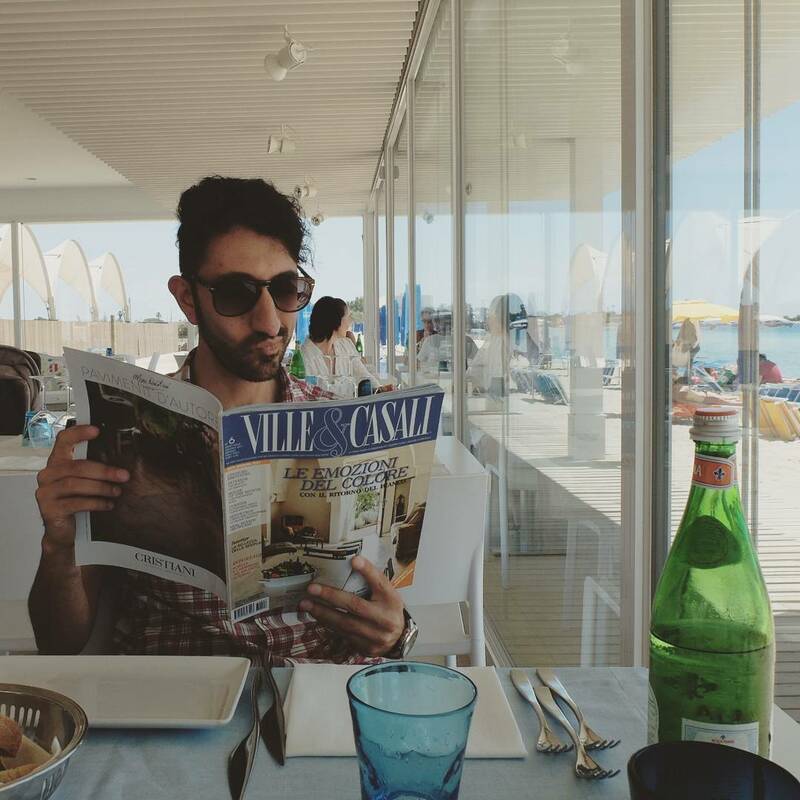 In my opinion, having an apartment for your holiday is much better than staying in a hotel: it saves you money, it gives you a holiday just as good as one in a hotel, and you have total independence. Naturally, I should point out: there are often cases when the accommodation is not up to it, or perhaps the offer is a scam; another thing, if you are looking for an all inclusive holiday with full board, then better go to a hotel. 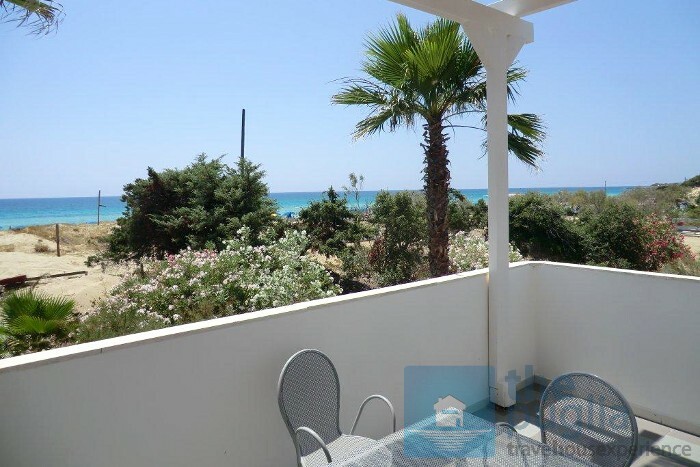 But for us at StayCiao Vacation Rentals, over the past few years we have selected a number of holiday homes and apartments right on the sea, in our area which stretches from the beaches of Porto Cesareo, going from the bay of Torre Lapillo to the beach of Punta Prosciutto. Here are a few of our seaside accommodation offers for your holiday in Salento and managed by our estate agency ThePuglia Real Estate! 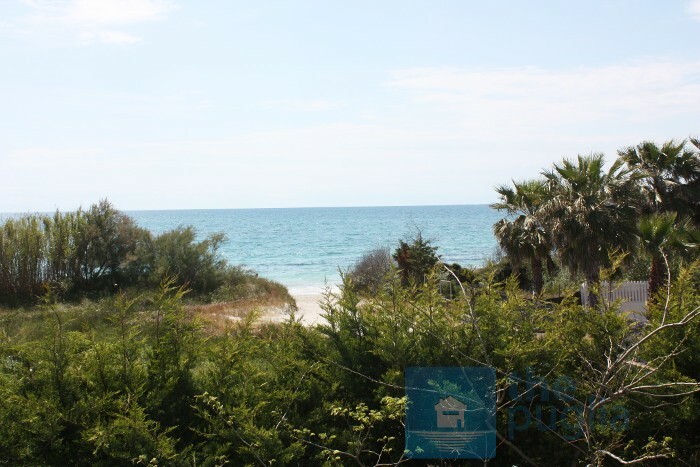 A fantastic villa right on the beach at Torre Lapillo, in the southern part of the bay, near Torre Chianca. This villa, as well as being on the beach, also has a beautiful sea view. This is a real one-off, for a holiday right on one of the most beautiful parts of the Salento coastline. 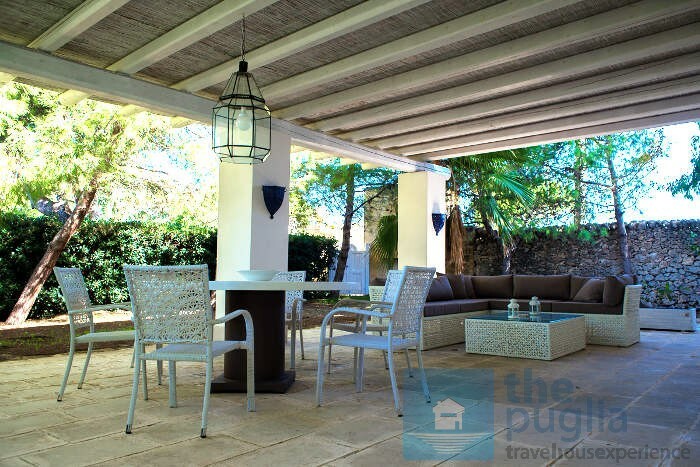 A two-roomed apartment within a larger villa which also contains another apartment to let. It is just 20 metres from the beach in the centre of Torre Lapillo, near Bahia del Sol and Orange Sun. A great place for anyone who wants to step outside right onto the beach. 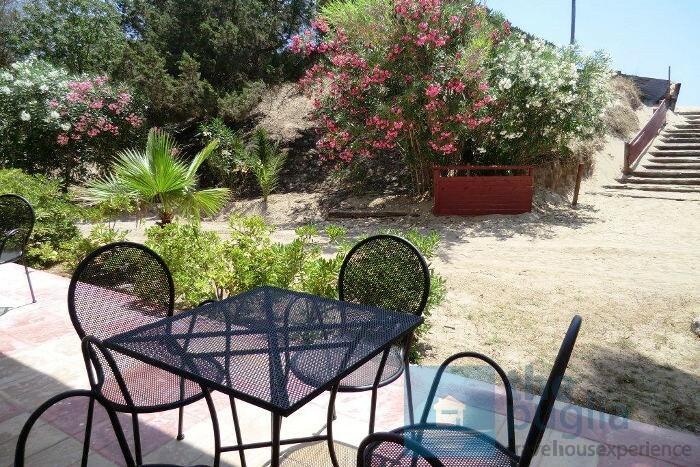 A lovely villa with 3 bedrooms, again right on the beach in the same area as the previous 2-roomed apartment. Here, too, step outside and you’re right on the sandy beach! The garden is lovely, too, for quiet moments of relaxation between bathing and other things. A family cabin behind the dunes at Torre Lapillo, near Lido La Pineta. Casa Elisena is less than 50 metres from the dunes, still right on the sea. Moreover, thanks to its location right near the centre of Torre Lapillo, it is really close to all the main amenities you need for a good seaside holiday. 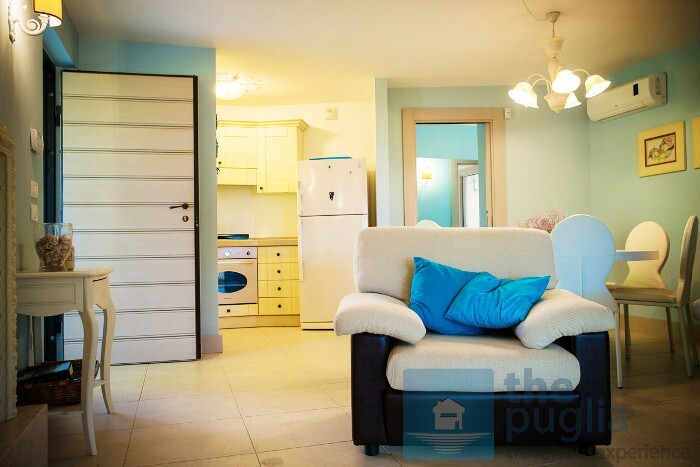 A recently-refurbished, all-new, two-roomed apartment on the first floor less than 50 metres from the main beach of Torre Lapillo bay. Ideal for a couple with or without children this accommodation, too, is a great choice being near to every amenity: park the car and in just 50 metres you have the beach and everything else you need! 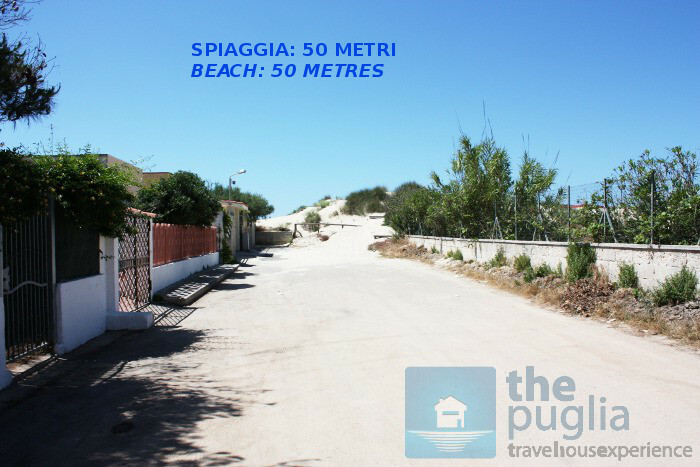 In the area near Punta Prosciutto we have apartments that sleep 4 located right behind the dunes near Lido degli Angeli. They are located in a complex with a garden that has direct access to the beach: just walk through the dunes and you come to the beach. Still in the same area as the previous apartments, we have two apartments both with spectacular sea views. These, too, are ideal accommodation for a family, and have direct access to the beach and the sea. A lovely comfortable cabin with enclosed external space right close to the beach. Recently completely refurbished. It is located on a property with its own grounds, so once you’ve driven into the complex and parked up you can then set off on foot to explore this beautiful part of the Salento coast. 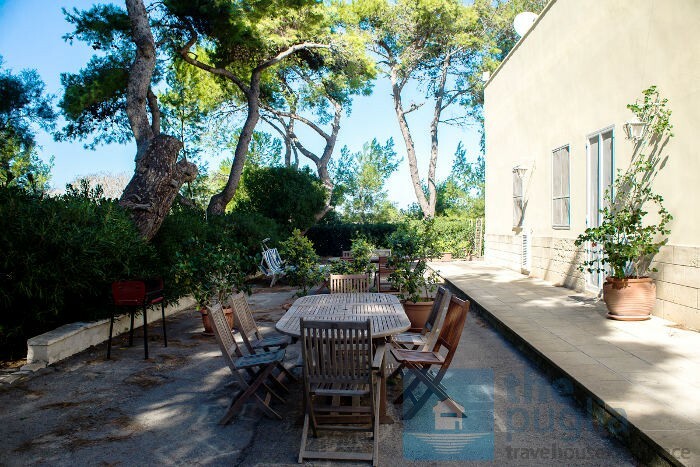 A spacious apartment with 3 bedrooms, Wi-Fi, large outside area with well-maintained garden, terrace, sun-bathing area, shaded car park … and direct access to the sea. 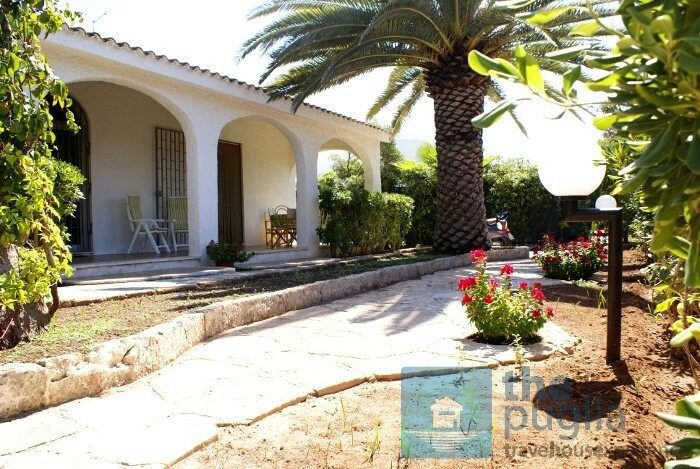 A wonderful, luxury villa with 3 bedrooms and private direct access to the beach. What more could you want? Let me end with a little advice. You need to consider that holiday homes and apartment right on the beach are not easy to find here, for two main reasons: a) they are few and far between b) many places are in poor condition because of damp – being right close to the sea. This is why we, rather than simply choosing the places we offer, we also select places that belong to owners more willing to undertake annual maintenance. If you don’t mind being another 50 metres from the beach, we have lots more places on offer. And believe me, the difference between 50 and 100 yards from the beach isn’t that much. Contact me via the comment box below if you would like further information. We look forward to seeing you here on the beaches of Salento! Hi Selin, we usually rent from saturday to saturday, so we can’t provide properties for you for the period you asked for. Anyway, could you be interested in some holiday houses from 02 to 12 July? Let me know if yes, I will send you an email asap! A presto, Fabio. We are a group of 6 adult and 2 infants. Looking for a comfortable house with a garden preferrably within 100 mt to a sandy beach. Our dates are 1st july- 12th july. Could you suggest available properties? I have selected for you some properties and sent and email. Thank you and see you soon in Puglia! A presto, Fabio. 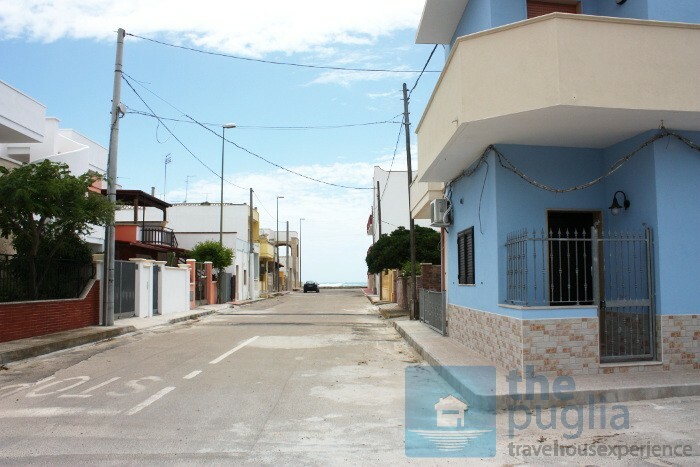 I´ve send an email regarding an apartment near to the beach in puglia. vacation time is september 7 to 19 for 2 persons. is anything free? could you answer me via e-mail? 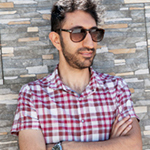 Hi Lassouli, I don’t understand the exact period of your vacation. Can you, please, send more information to me? I have sent a private email to you, anyway. A presto, Fabio. We’re a family 2 adults+2 childrens ,we’re looking for a small house or bungalow with direct access to the beach . In Puglia for August . The best is from the 9/08 to 06/08. Ciao Alasdair! 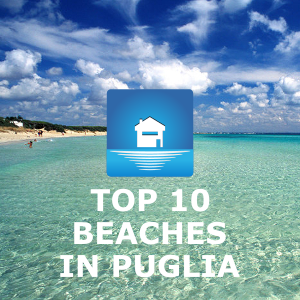 Ok, I manage several beach properties here in Puglia near some of the best beaches like Torre Lapillo Bay, Porto Cesareo beach and Punta Prosciutto beach. I have just sent to you some of them with detailed information and prices and availabilities. Let me know if you need more information. A presto, Fabio. We’re looking for somewhere near a beach, if possible.